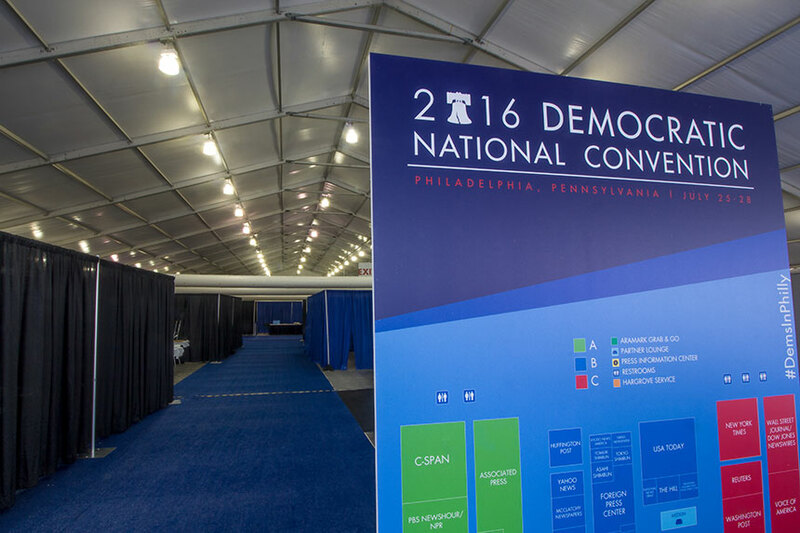 Arena Americas worked with event producer, Hargrove, to provide rental equipment for the Democratic National Convention in Philadelphia. 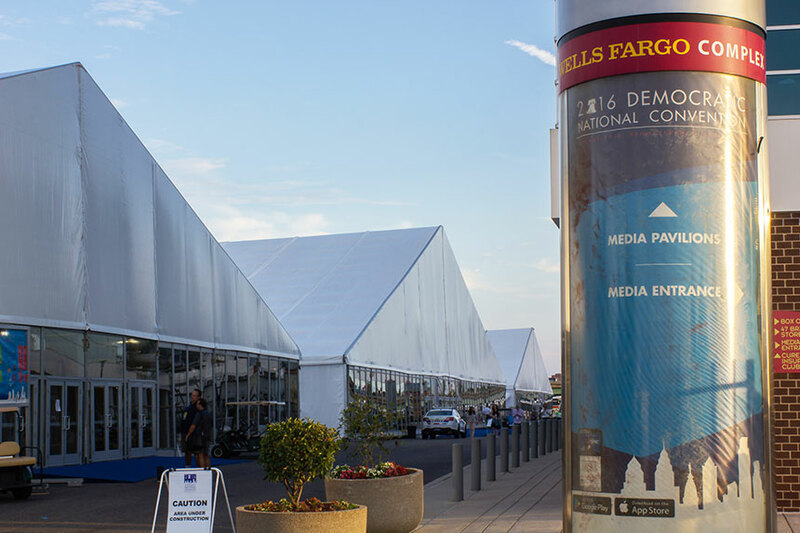 Arena supplied nearly 230,000 square feet of clearspan structures ranging in size from 6m (20’) wide to 60m (197’) wide. 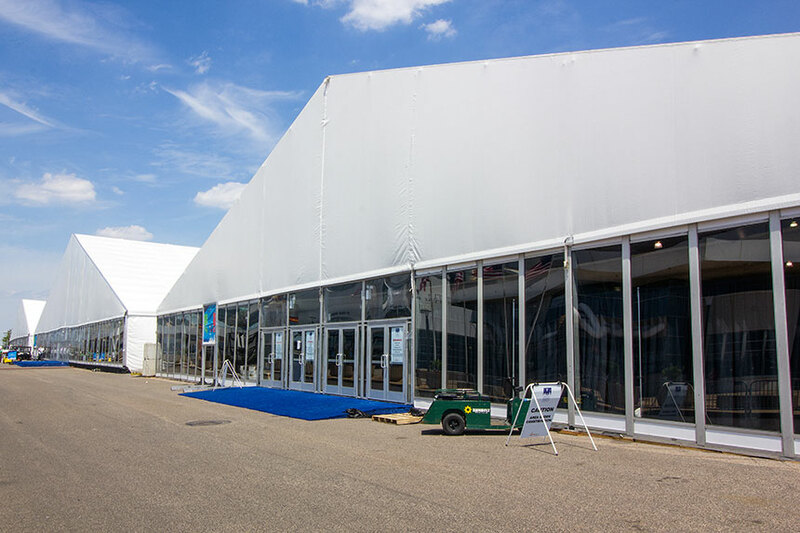 The structures were equipped with flooring, glass wall and climate control. 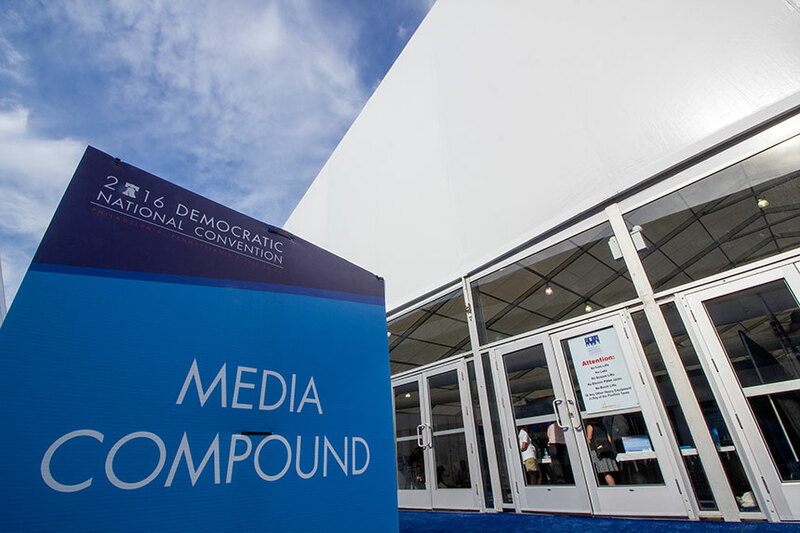 The main media area was supported by a Chiller System. 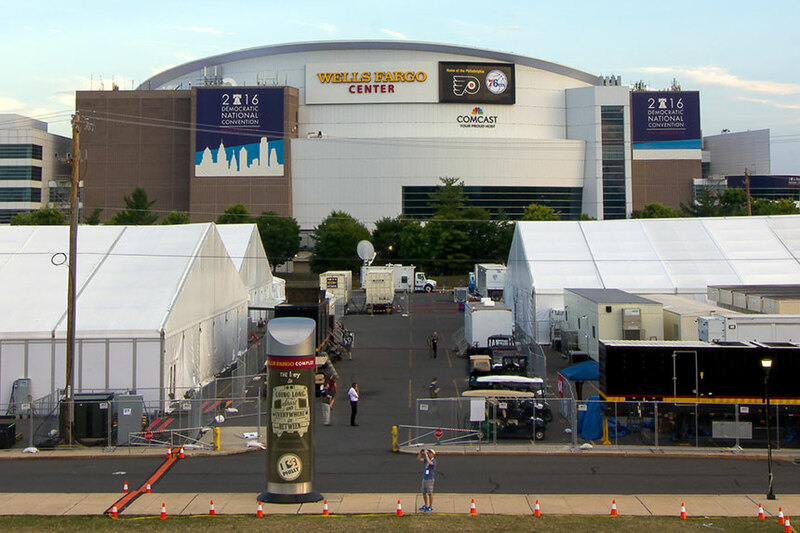 Arena was required to use union labor for the installation and dismantle of the project and provided supervisors to aid in the construction. 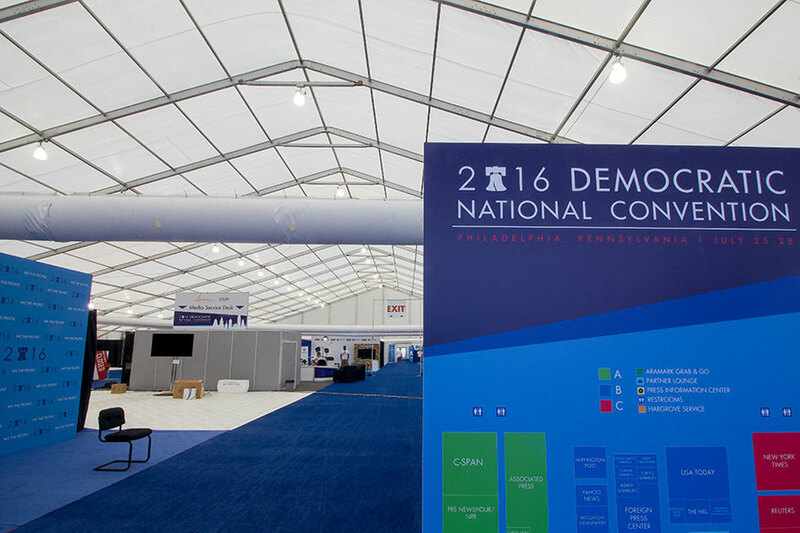 The crew installed the massive build-out in less than 45 days, and quickly removed the equipment at the conclusion of the convention due to other events moving into the space. 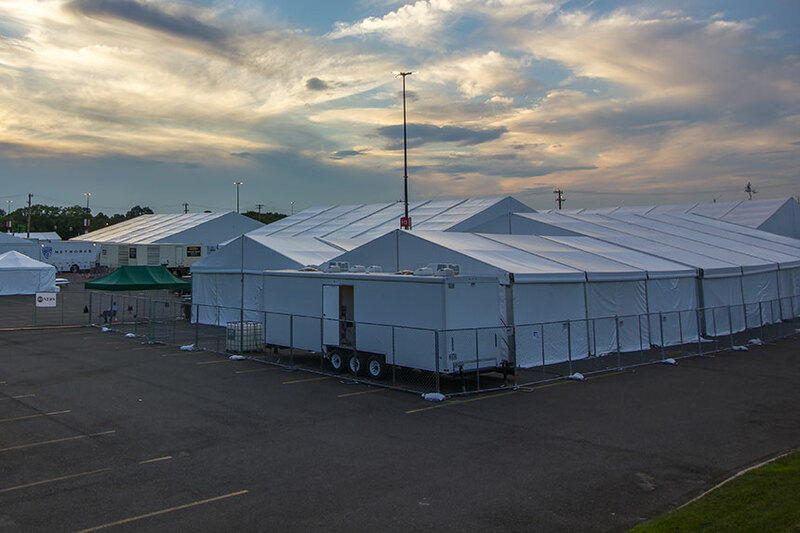 The structures were used for media, sponsors, food service and drivers for the duration of the convention. 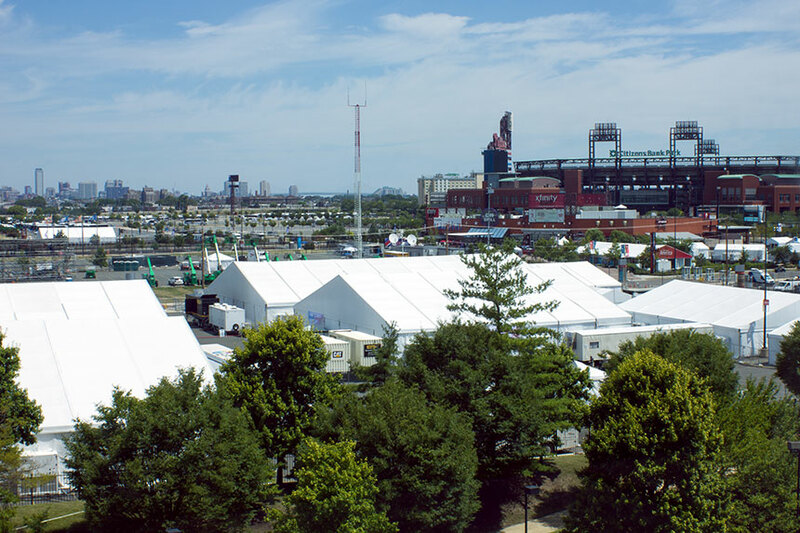 Arena Americas is a full service event rental company specializing in providing rental equipment and services to clients like the NFL, NCAA, USGA and the White House.